Waveguides: modes, boundary conditions, cut-off frequencies, dispersion relations; Antennas: antenna types, radiation pattern, gain and directivity, return loss, antenna arrays; Basics of radar; Light propagation in optical fibres. Poynting theorem, energy and momentum of electromagnetic waves; radiation from a moving charge. Download EMT Notes for B. Tech Electrical. 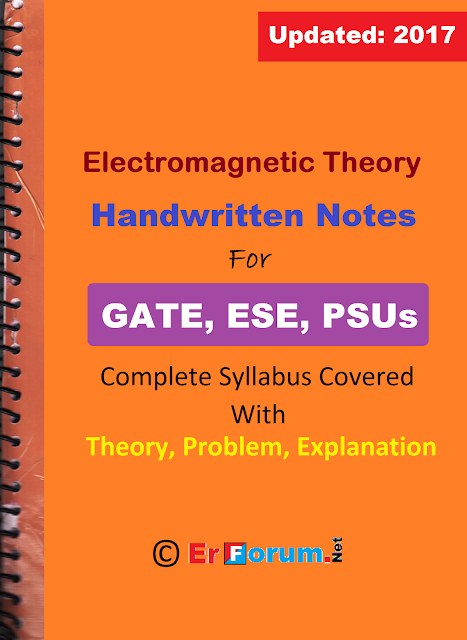 Download EMFT (Electromagnetic Field Theory) notes.